In Memoriam: This post is dedicated to the dear memory of beloved Chicago institution, Hot Doug’s (2001-2014). May you continue to make unique and memorable sausage creations in food Valhalla. 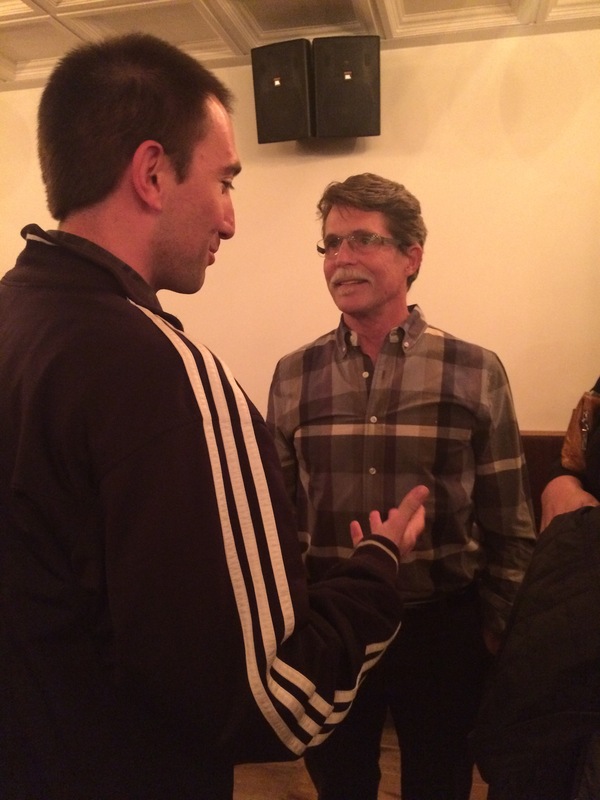 Check out my visit to the now defunct land of wondrous tube steaks. 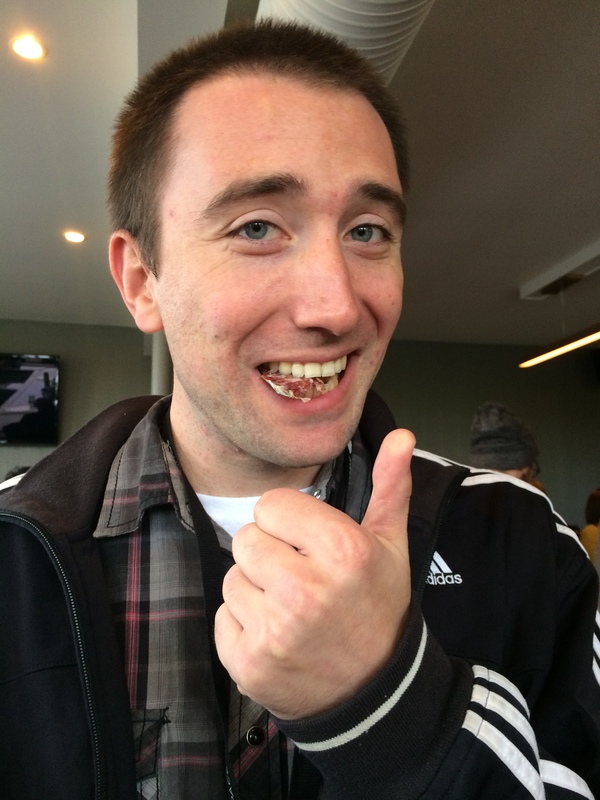 Today’s post on Mastication Monologues is a unique one since it is about my first visit to a food festival that focused more on the craft and industry than purely the art of gorging oneself on grilled meats and throwing money away buying tickets for beers with skewed prices. 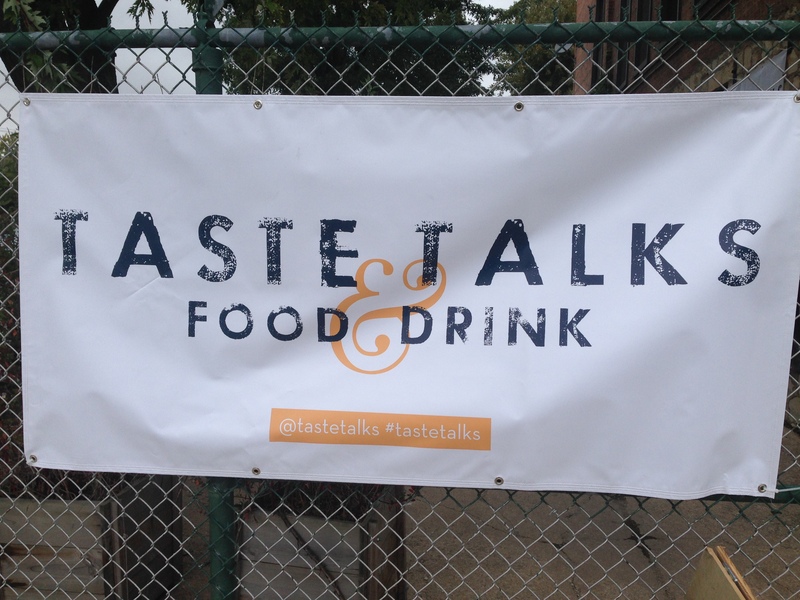 The festival in question is called Taste Talks, and it took place from October 3rd to October 5th. With two events in Brooklyn in NYC and Chicago, it originally was the brainchild of the carrot-topped, Croc-rockin’ chef, Mario Batali. 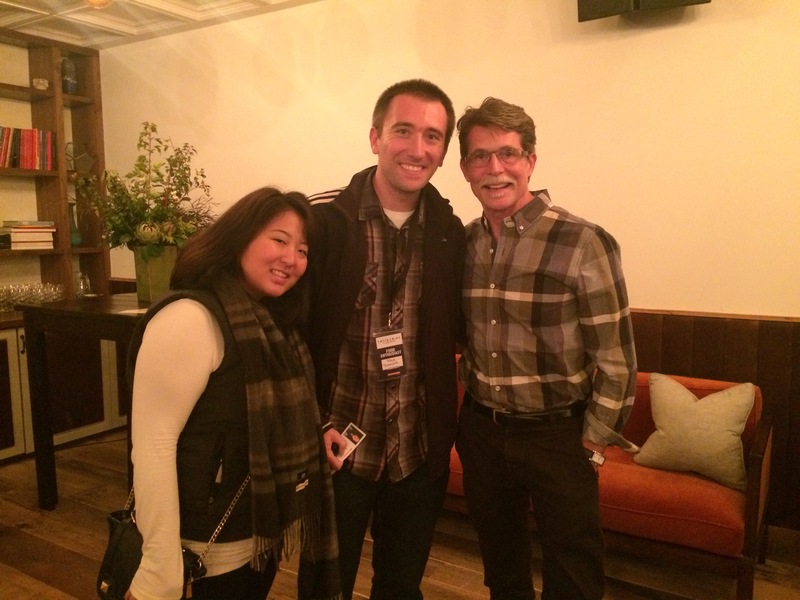 However, you’re probably wondering how a small blogger like me could attend such a festival? I actually was emailed by Paulina from OpenTable offering me a spot on the guest list. 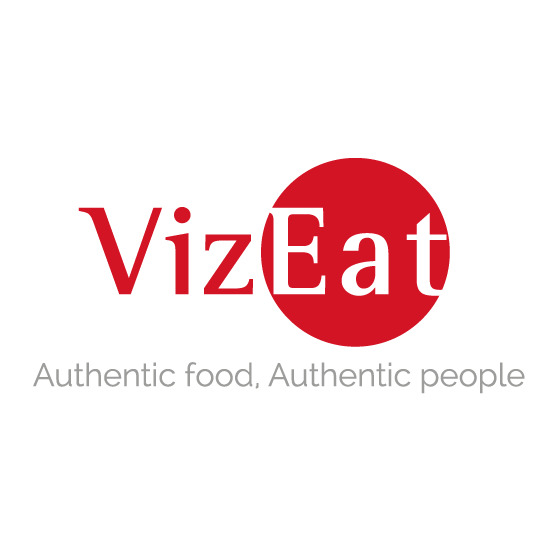 I’d like to thank her once again for the opportunity along with OpenTable for reaching out to me. 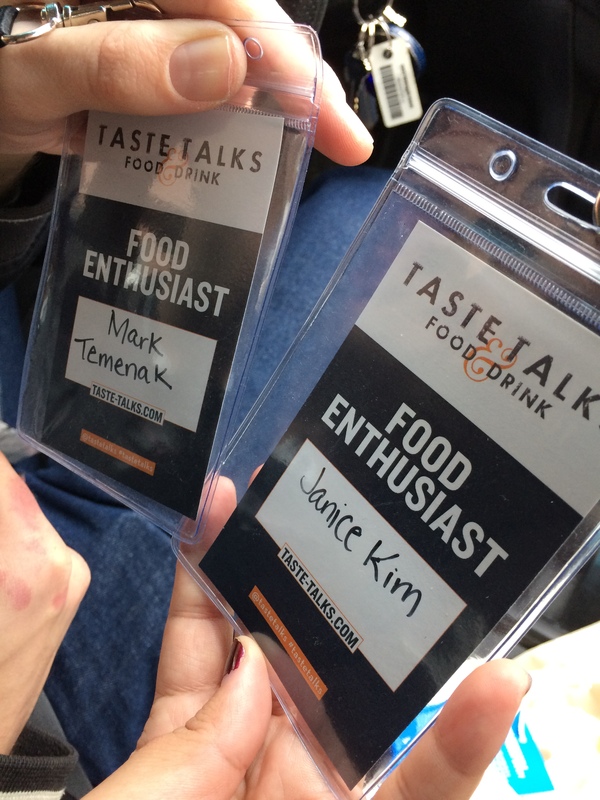 Not only that, but I was able to get a pass for my girlfriend as well since I wanted her to share in the glory that was Taste Talks. 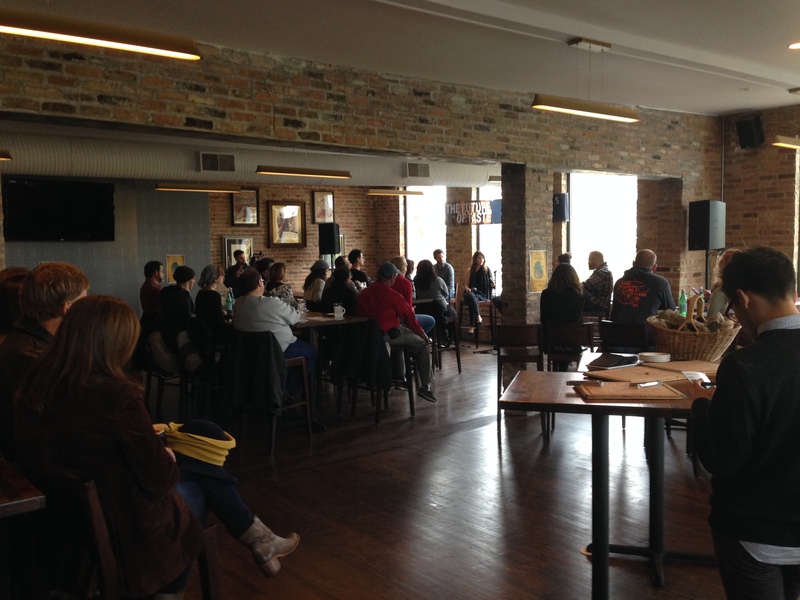 While we couldn’t attend the Friday kick-off event with the oyster and champagne dinner at the Kinmont Restaurant, we had essentially free reign over what we could see on Saturday. 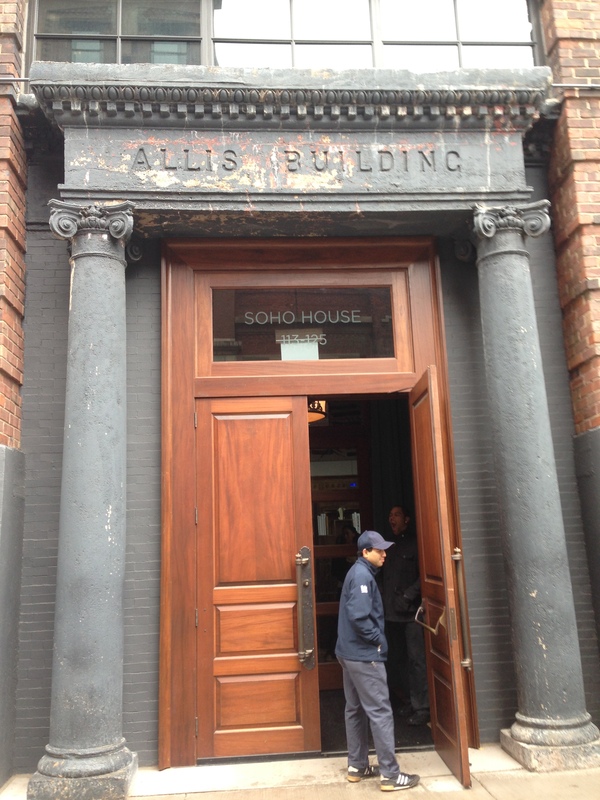 It was a cold and drizzly day, but the first meeting we went to at the elegant Soho house. 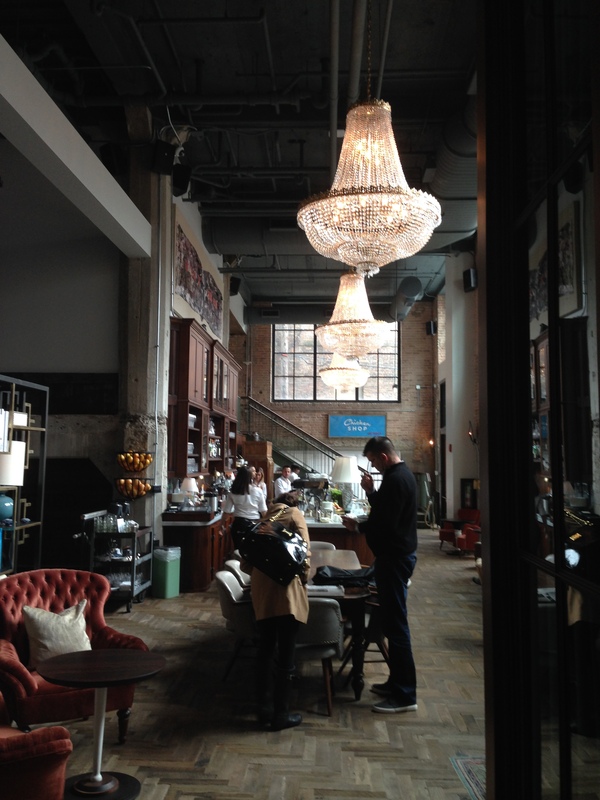 While it used to be a tannery at the turn of the 20th Century, in the 21st it is a chic and hip hotel. We marveled at the lobby as we quickly moved to the elevators to get to the first food meeting. Even the elevators were swanky as the walls were upholstered like a fine leather couch. Thankfully we didn’t fall asleep leaning on the walls and quickly moved to the Free-Styling with Ice Cream Desserts talk. 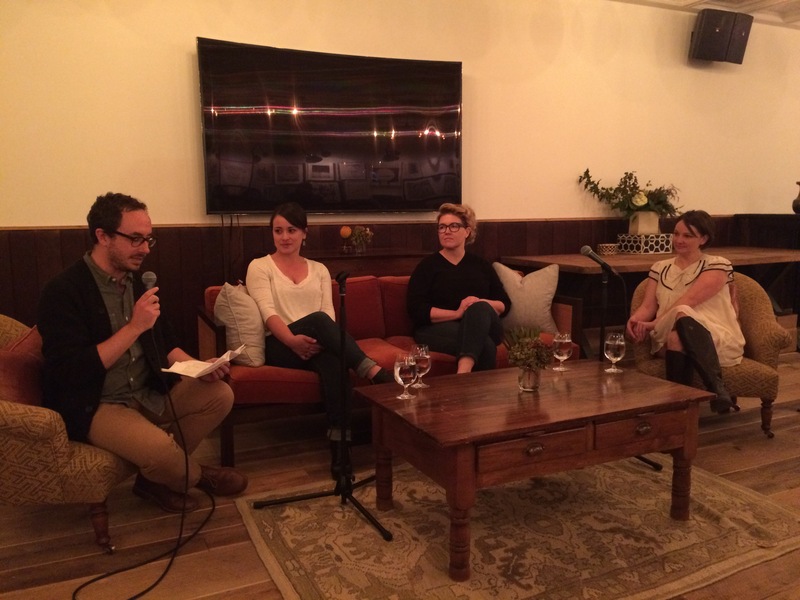 Our panel consisted of Jeni Britton Bauer (Jeni’s Splendid Ice Creams), Dana Cree (Blackbird), and Jessie Oloroso (Black Dog Gelato). 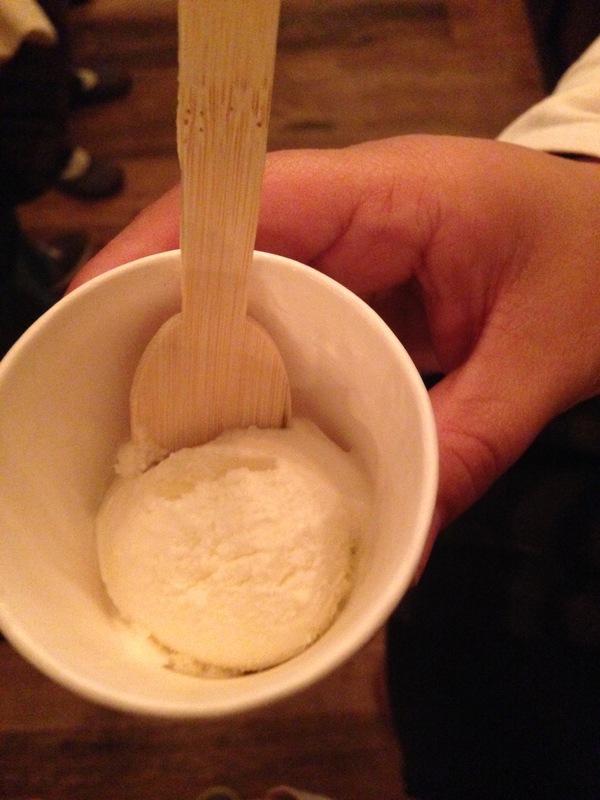 During the talk, they were all quite gracious and humorous when interacting with each other and the audience, but I could tell that they knew their stuff based on the emphasis they placed on making their ice cream and gelato from scratch. While they said most ice cream places throughout America claim to create their ice cream by hand, in reality they just use a dairy base, throw in some sugar and flavorings, and add some toppings. What they’re selling us is just an image of it being artisanal. What these ladies do instead is actually break down the ingredients and balance them just right in order to get the right texture, flavor, and melting point. The choice to do what these ladies do isn’t the cheap route in comparison to the easy peasy ice cream base method, and in reality, the government is against them. The FDA is very meticulous when evaluating their franchises, and the big dairies are favored in the ice cream industry since they offer an easy way out for people who want to go the traditional route when making the cold treat. The speakers even made some revealing statements like it turns out the soft serve cones at McDonalds are actually just cold, whipped, leftover animal fats, and ice cream was originally derived from excess butter at dairies. Ice cream normally is around 10% fat, but McDonald’s, as always, manages to do it bigger than anyone else. They also explained the differences between gelato and ice cream: gelato has a lower fat content than ice cream, it’s smoother than ice cream due to the lack of ice crystals, and gelato is served at a higher temperature than traditional American ice cream. 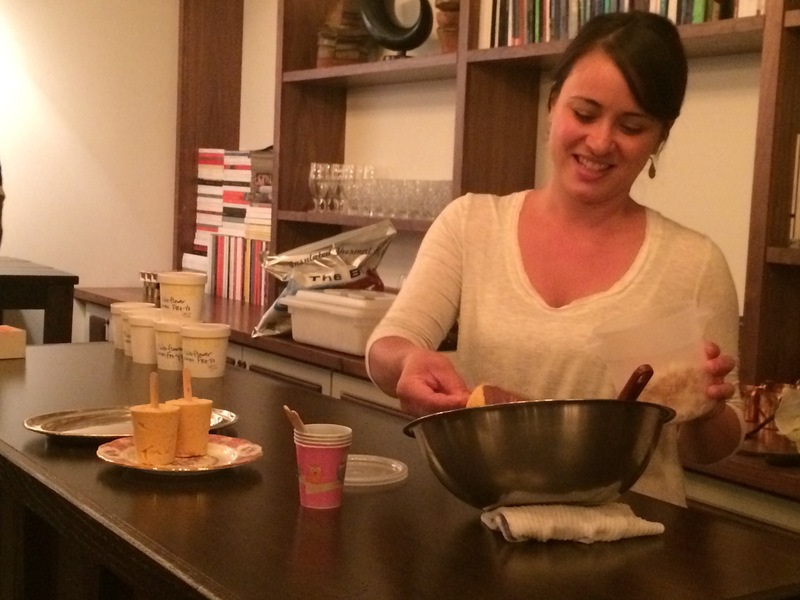 Once they got tired of just talking, each chef did an ice cream demo. 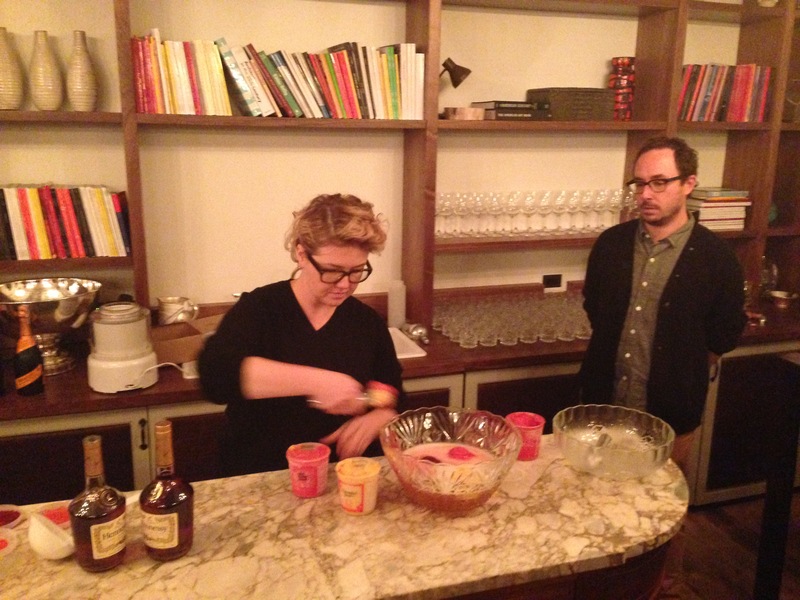 First, there was Jeni Britton Bauer’s ice cream punch. 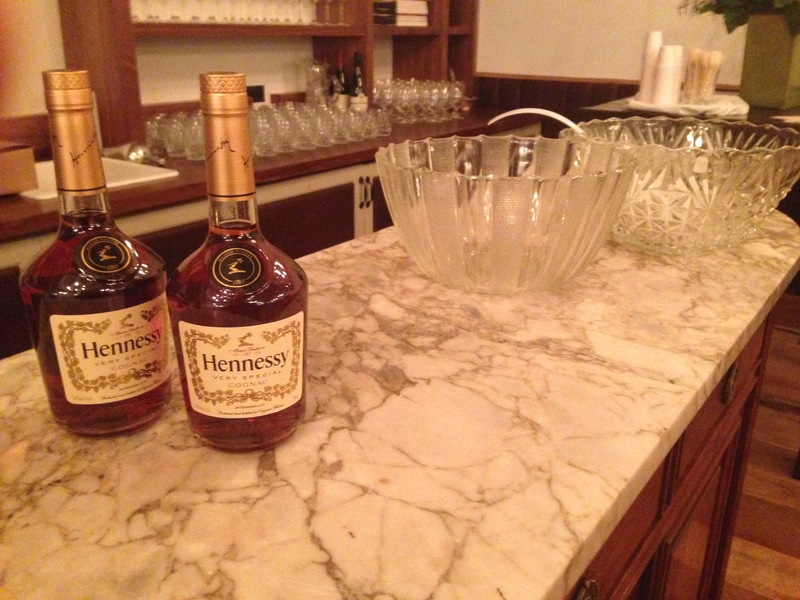 I knew we were in for a good time when there were bottles of Hennessy on deck right next to the punch bowls. However, she started instead by struggling to open a bottle of Prosecco, but she eventually opened two and dumped the bubbly into the bowl. 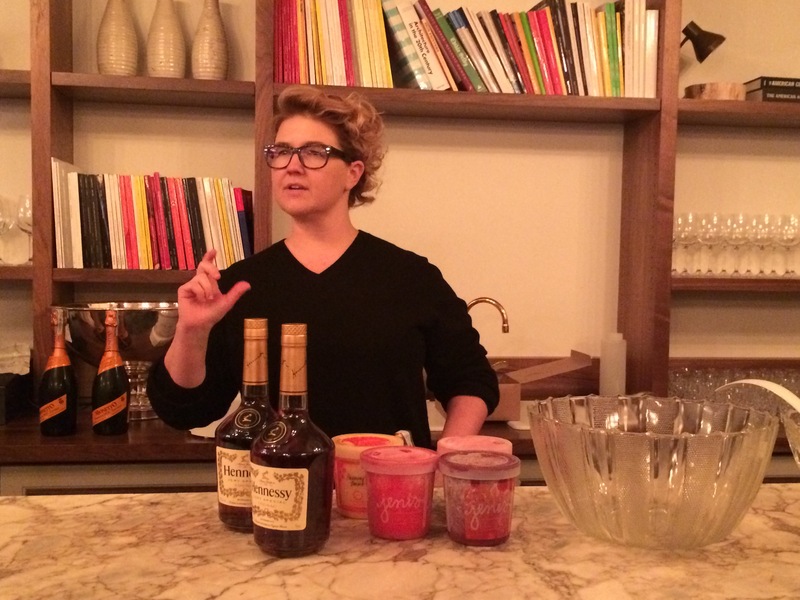 Jeni followed that up with a cup of the smooth brown cognac. Then, she proceeded to throw a bunch of scoops of different types of sorbet like lemon, strawberry, and raspberry. Those neon orbs were bobbing in the brew like an extremely adult version of bobbing for apples as she ladled cup upon cup of the crimson mixture. Janice and I sampled the beverage, and it was quite refreshing. 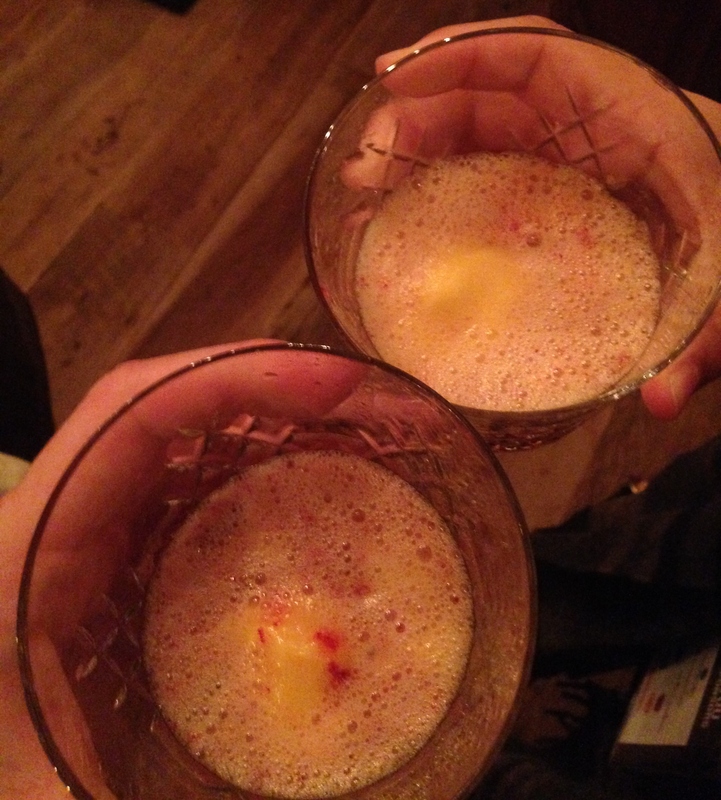 It tasted like a bubbly, adult Italian soda with rich pieces of ice cream sliding over our palates every other sip. 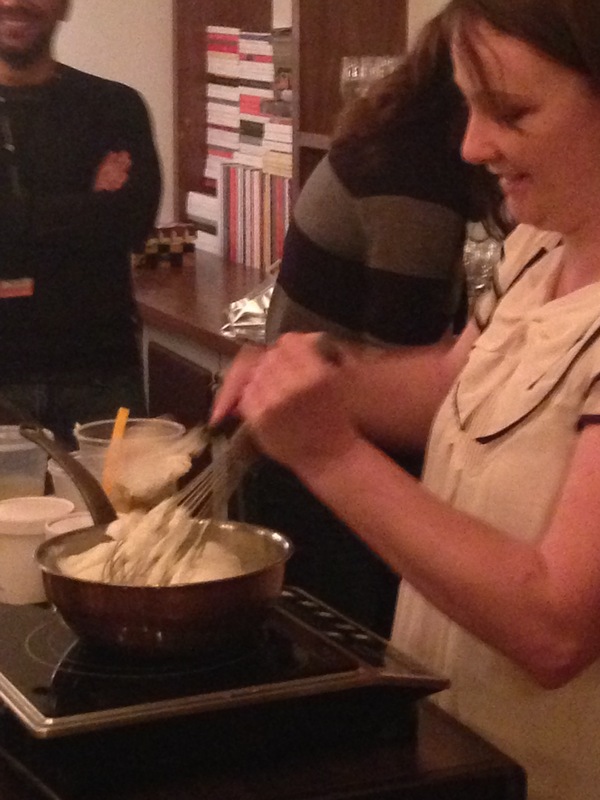 Next up was Jessie from Black Dog Gelato. Jessie operated the only ice cream parlor I knew out of the three, and I have heard a lot of buzz about it. So, I was curious to see what this wizard of cream and sugar could come up with. 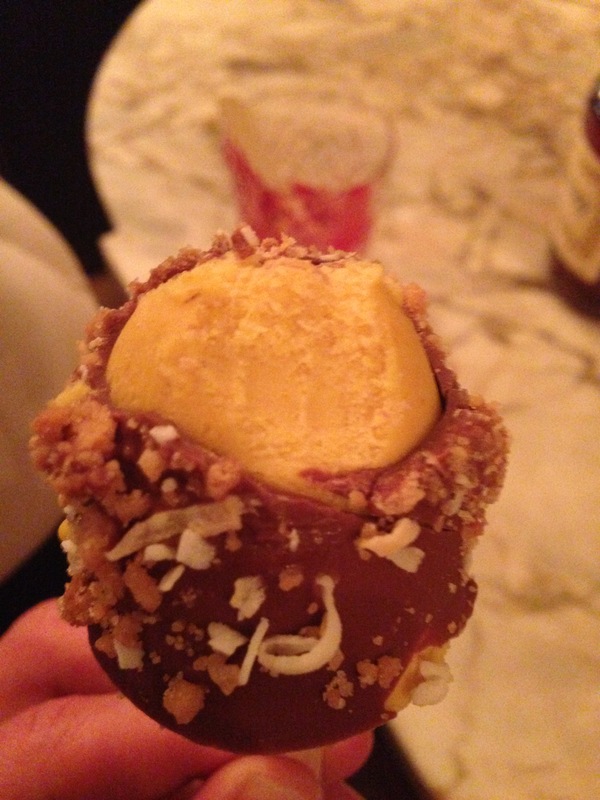 She did not disappoint with her chocolate coated pumpkin ice ream pops. 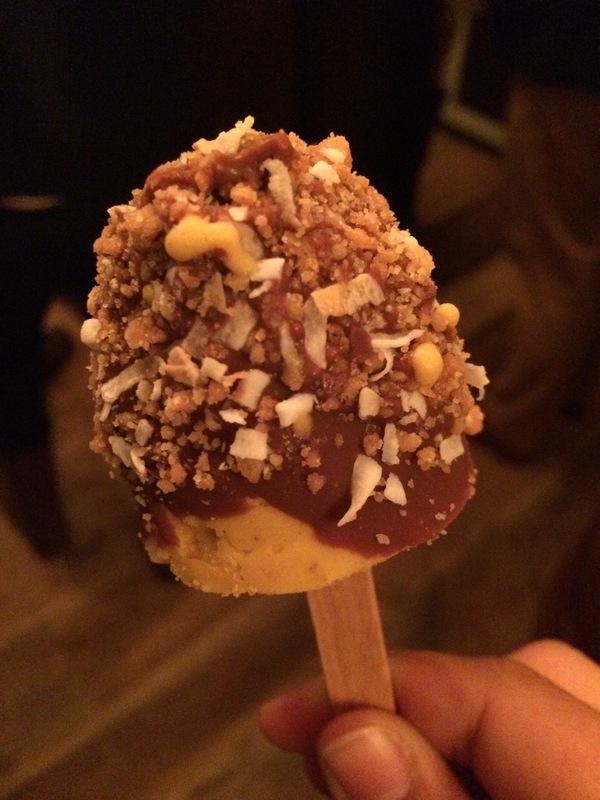 First, she did a simple popsicle using her pumpkin infused gelato, but then melted chocolate using a hot plate on the side. The pumpkin pops were lovingly caressed in the sweet elixir and then rubbed with a coating of dried coconut and strudel crumbles. 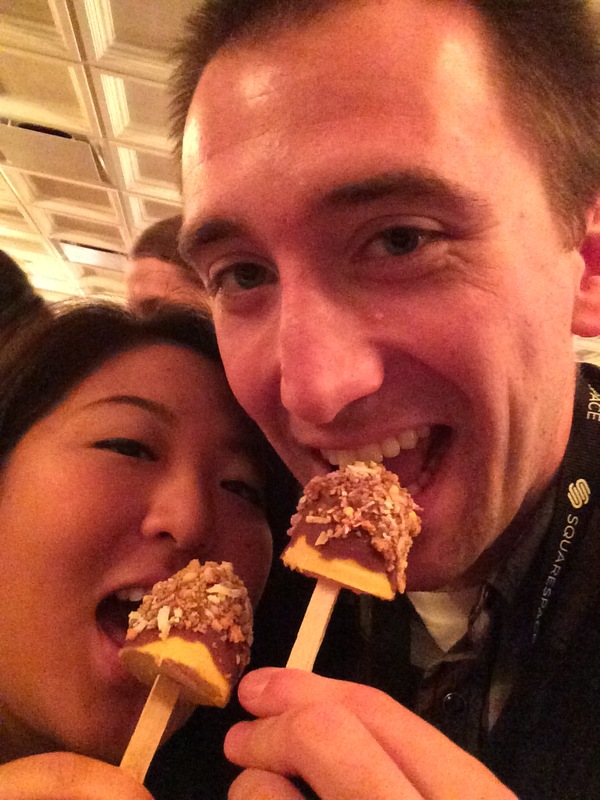 We could sample smaller versions of the pops, and we definitely took advantage of the offer. While the crunchy, milk chocolate interior gave way to a more subtle pumpkin gelato that was creamy and understated, it was quite difficult to eat as the slivers of chocolate were flying everywhere. They probably thought it was my first time eating a cold treat based on how overjoyed I was. 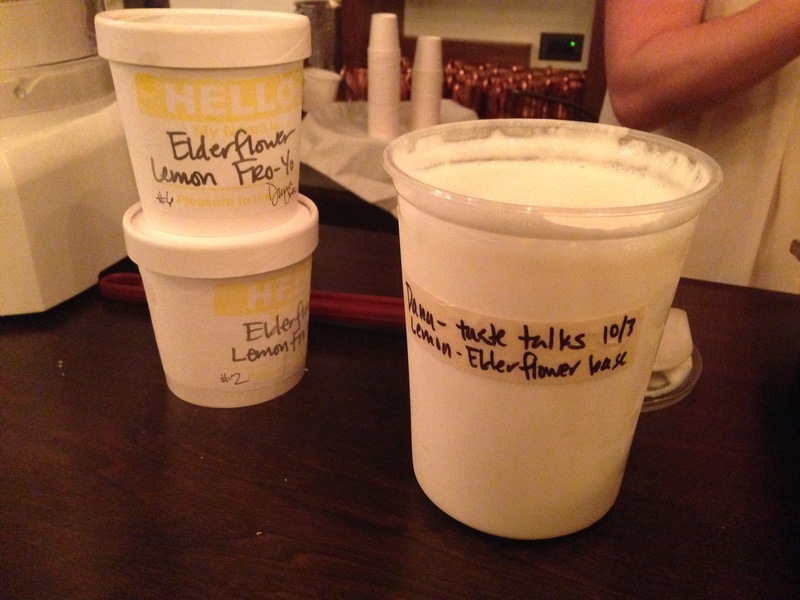 The final creation came from Dana Cree which was a lemon and elderflower infused frozen yogurt that was based on a recipe that used unsweetened Greek yogurt. This gave it a real tang when combined with the lemon and fragrant notes from the elderflowers. Out of the three, my favorite was the chocolate and pumpkin pops, and I later found out how creative Jessie could be when Janice and I visited her Black Dog Gelato. 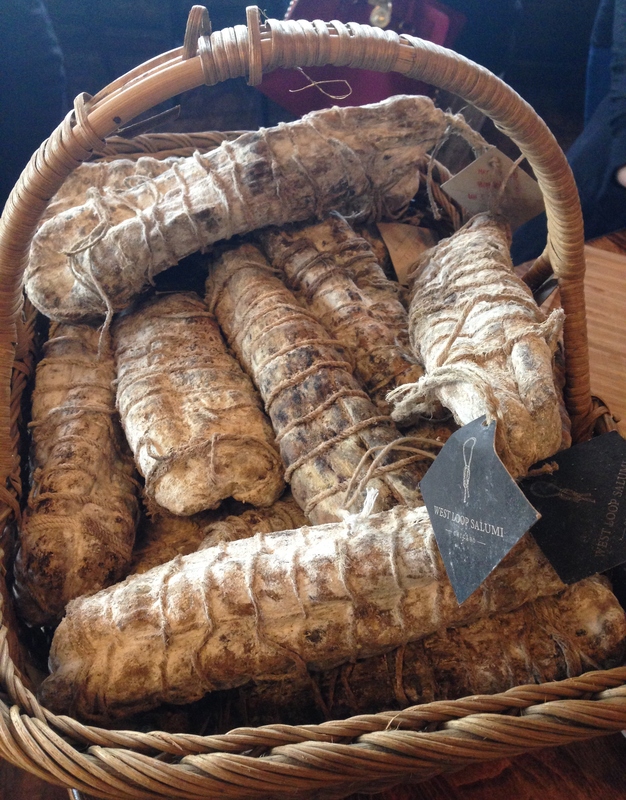 While we would have loved to talk to them for longer, we had to rush to the Art of Salted and Dried Charcuterie. 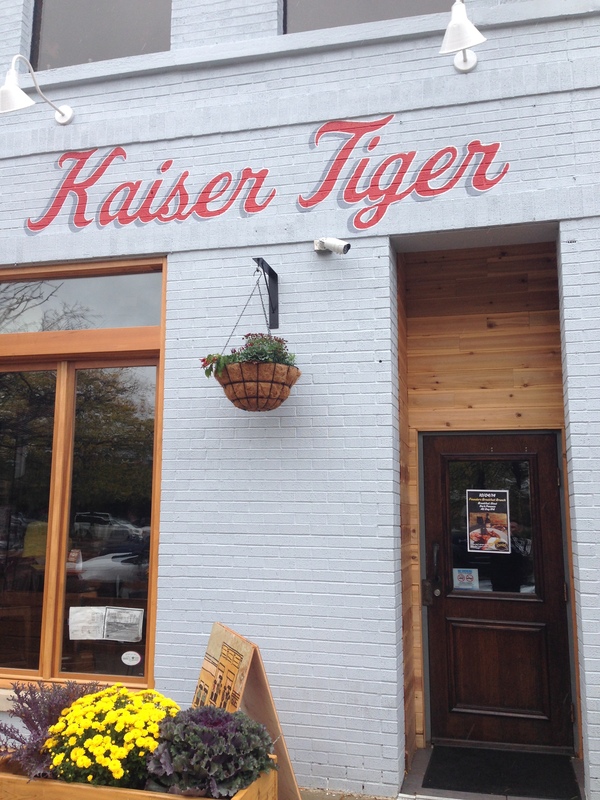 This lecture took place at Kaiser Tiger at 1415 W. Randolph Street. 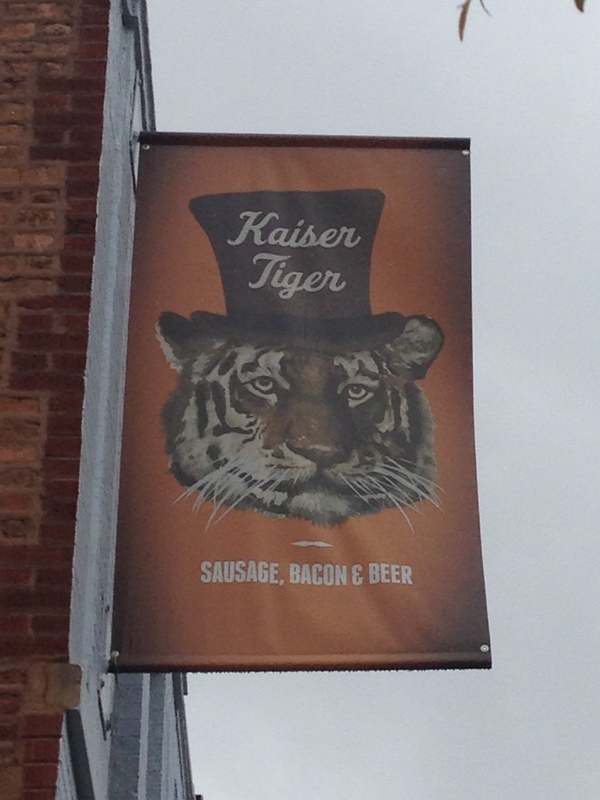 It was an eclectic place in terms of decor, but we were there to sample some sausages. We arrived a bit late and soaked from the drizzle, but it was a very different vibe from the ice cream meeting. 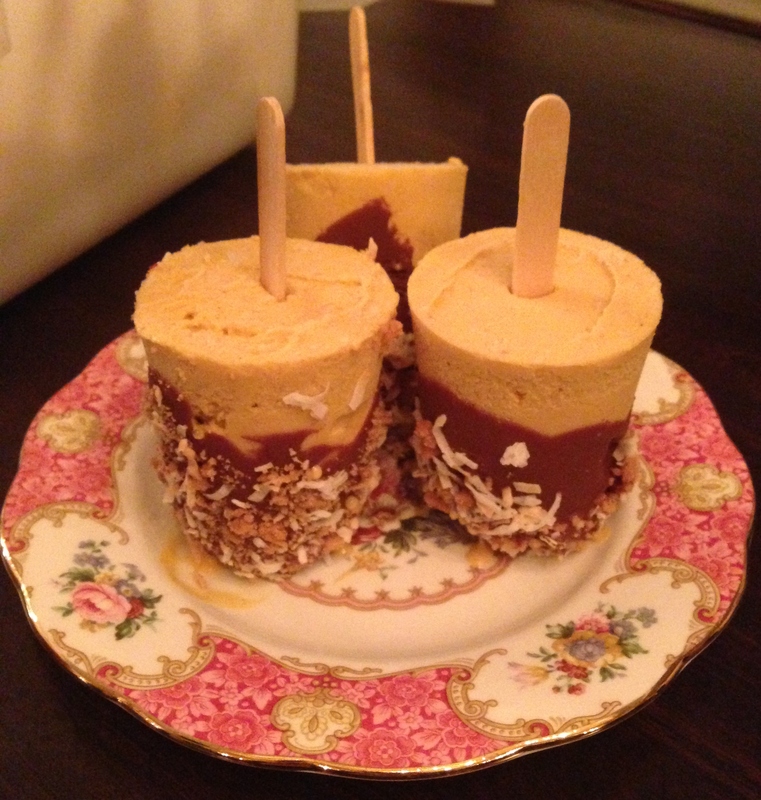 While the ice cream baronesses were approachable and humorous, the speakers were not interested in chewing the fat. Plus, the people there looked more of the hipster persuasion which gave it an air of pretentiousness that I wasn’t digging. 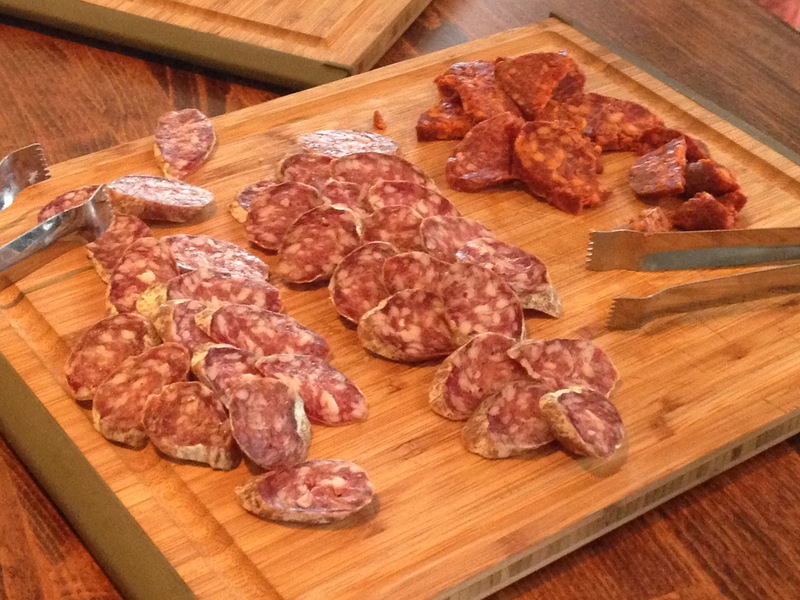 We just went to town on the sausage sample platter at the back of the room. It was like a time machine for me for my time living in Barcelona. 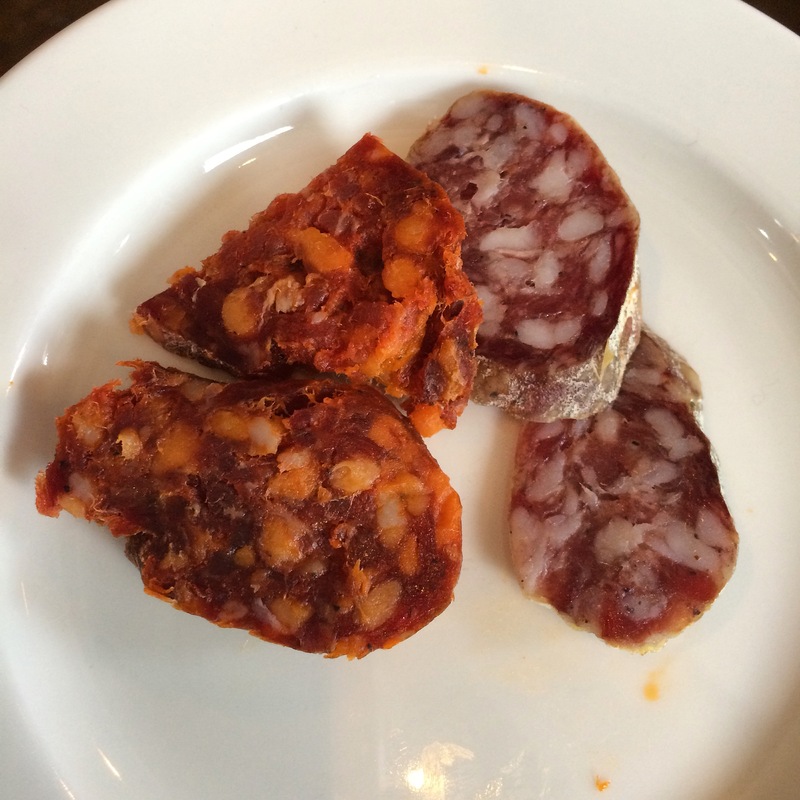 Not only did they have the same sliced, orange-red, peppery chorizo I used to make sandwiches with during my siestas, but they also had super fatty pieces of Catalan fuet sausage that contained chewy pieces of meaty flavor. I used to gnaw on a piece of the super rich sausage while working on my homework since it gave me the energy to keep my focused, and I really liked the texture contrast between the fat granules, the melt-in-your-mouth meat, and semi tough casing. 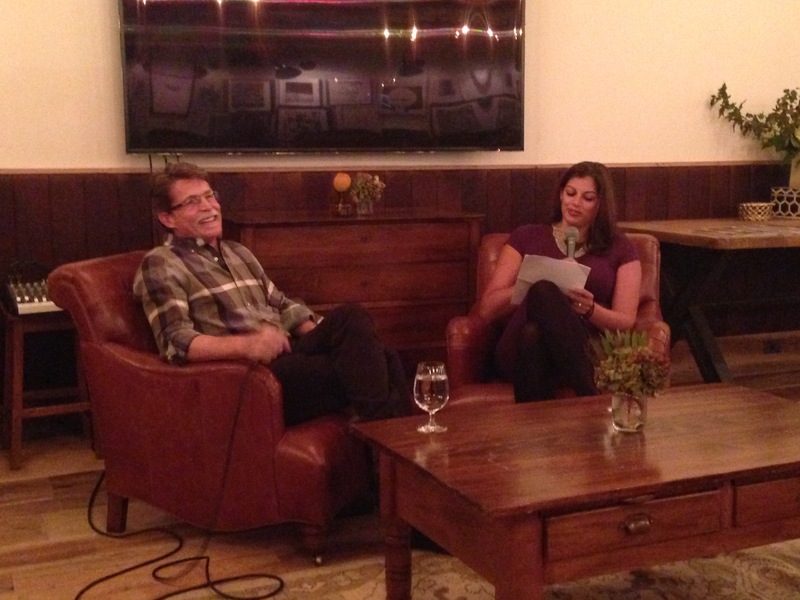 After eating our fill of artery-clogging meat, we decided to peace out early for the biggest fireside chat of fireside chats with Rick Bayless.